Had no clues about this Komola Bhog / Orange Rosgolla until i stepped into my friends place at Kolkata for Pujo celebrations on Dasami day. For lunch we were served two types of Rosgollas in which the light yellowish ones lured my interest. It was way too flavorful then the regular ones upon inquiring they said its termed as Komola bhog (which i kept mis pronouncing) Since i was heavily fed cldn't grab another piece. Unfortunately these were out of stock at the famous Sweet shop while getting back to the Airport, which lead to my disappointment and i was day dreaming about these. I had no luck in finding good Bengali sweets in Chennai even with the biggies from Kolkata. Decided to try it out, myself. Didnt go for artificial color or essence while most of the recipes said so. Went with freshly squeezed Kamala Orange juice and made these beauties. Boil milk in a pan when it starts to boil simmer, keep adding the orange juice until the milk curdles completely. Strain thru a muslin cloth and allow to drain for not more than 45 minutes. Take a plate place the chenna and knead until it forms a soft dough. 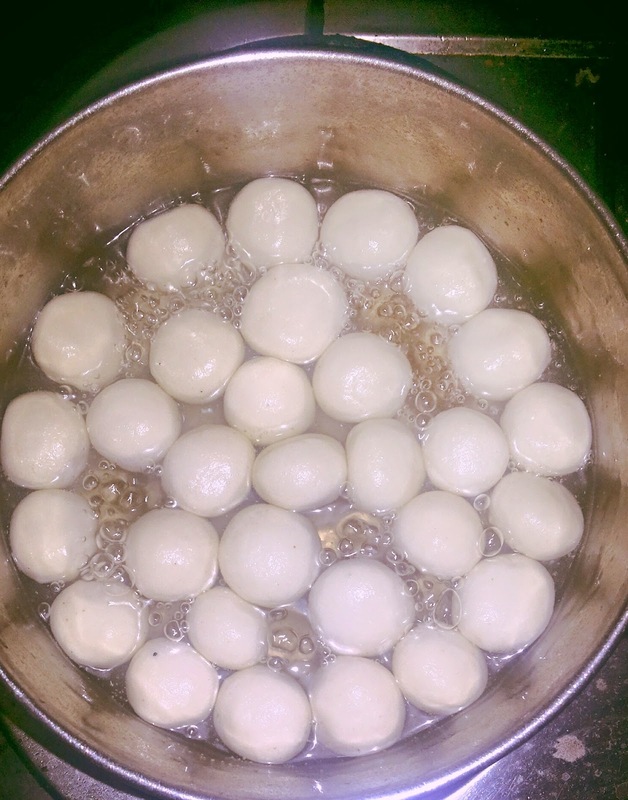 Divide into equal portions and make small balls. In a vessel add water, sugar and cardamom powder dissolve the sugar and once it stars boiling slowly add the balls and cook for 7 -8 mins with lid closed. Mean while keep checking that the balls don't stick to each other. Once they double in size remove and cool it and serve cold with silvered almonds and pistachios. 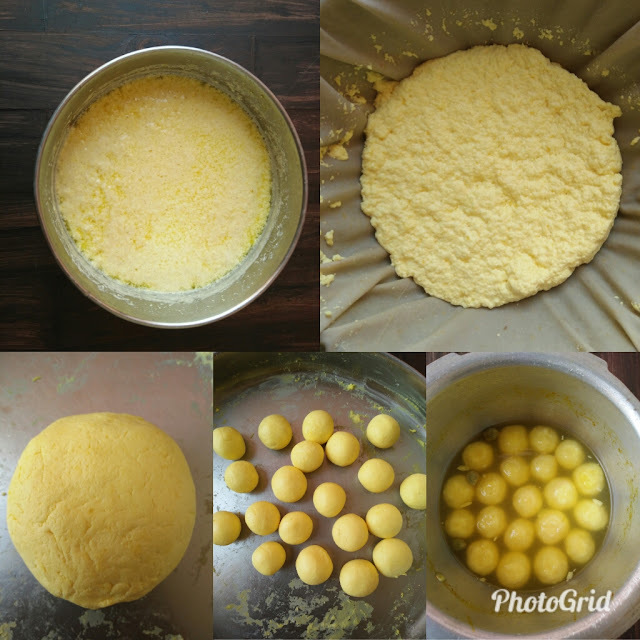 Enjoy this Diwali with home made Komola Bhog. looks super cool n flavorful..yummmmy! Komola is a typical Bong transformation of our kamala but that does not take away the unique flavour of orange . In my ling years of stay at Calcuuta, I haven’t tasted this variety. I will check in a KCDas shop nearby. The fruit halwa looks superb. All the three sweets of different varieties are delectable and may be you posted them together for the ensuing Deepavali. Interesting this one. Shall try it out.